What an exciting semester it has been! 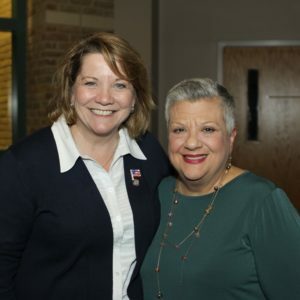 In addition to the usual highly anticipated events (like Orientation and Welcome Week) MSP celebrated our new President Fran Brown, our name change, and the exciting transition to Phase II of Foster the Future that will include the MSP clinic, opening Fall 2019. MSP’s new President Dr. Fran Brown welcomed (and welcomed back!) students during Orientation. 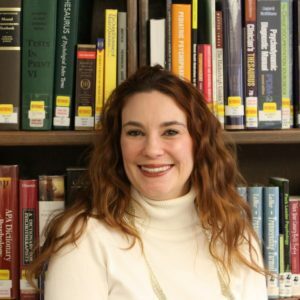 Dr. Shannon Chávez-Korell accepted the position of MSP Program Director. The first week of class we enjoyed daily “Welcome Week” festivities that included custom ice cream sandwiches and a highly competitive psychology trivia night! MSP welcomed Carol Hanson, MA as Training Coordinator, a new role on the Clinical Training team. 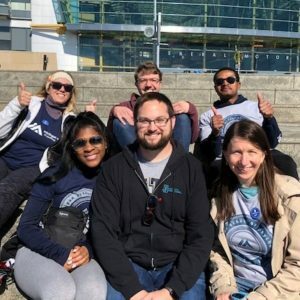 Student Engagement led a fundraiser for MSP’s Out of Darkness Team at the Metro Detroit Out of Darkness Walk in support of the American Foundation for Suicide Prevention. Dr. Dustin Shepler presented our first Continuing Ed Workshop of the academic year. MSP welcomed back TEDx speaker Raj Mehta for a lecture on Substance Abuse as part of Student Engagement’s 2018/19 theme of Specializations. The wider MSP community came together to honor retiring President and MSP Co-Founder Dr. Diane Blau. The MSP Board of Trustees announced that the new building would be named the “Diane S. Blau” building in her honor. MSP also announced changes to the MSP Board of Trustees. October 1, MSP students, faculty, and staff gathered in the Atrium to celebrate our official Name Change Day! 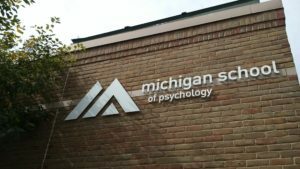 We are now the Michigan School of Psychology! Student Engagement presented the 3 Button Brownbag Lecture Series to explore MSP’s updated Core Values. Students were encouraged to attend each lecture or complete a personal challenge to collect one of four custom buttons. We hosted a free screening of the PBS POV film “PBS POV film “Swim Team” created by filmmaker Lara Stolman. The screening was followed by a Q&A session with a panel of experts, including Dr. Ruth Anan, Director of MSP’s ABA Certificate Program. MSP Program Director Dr. Shannon Chávez-Korell presented a “Cultural Competency Brownbag” on Working with Latina/o Clients in Therapy in honor of Hispanic Heritage Month. MSP President Fran Brown announced that we are moving into Phase II of Foster the Future that will focus on creating the Michigan School clinic, set to open Fall 2019. We kicked off November with a second annual Metta Yoga session hosted by Dr. Ronda Diegel. We raised $1,100 for the Michigan Coalition to Prevent Gun Violence . The MSP community gathered for a reception in honor of our new President Fran Brown. Psi Chi encouraged the MSP community to show their civic pride on Election Day with the #MSPVotes campaign and kicked off a Holiday Book Drive for The Children’s Center in Detroit. IDEA hosted the first of many Critical Conversations on “Anti-Semitism & White Supremacism in the U.S: A Response to Pittsburgh.” MSP students, faculty, and staff began a campus dialogue about racism and privilege. MSP’s newly forming Alumni Association hosted an Open House and held the first Alumni Advisory Board Meeting. We celebrated #TestKitTuesday on November 27 (#GivingTuesday) to encourage our community to help us raise $5,000 for testing materials for the MSP clinic. 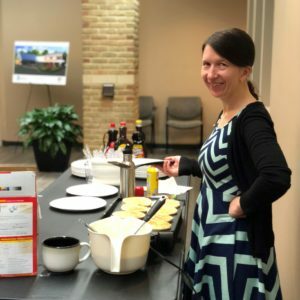 Student Engagement made pancakes during Finals Week to help soothe student stress. IDEA hosted the annual “Adopt-a-Family” drive. MSP students, faculty, and staff had the opportunity to select a gift for a local family in need.